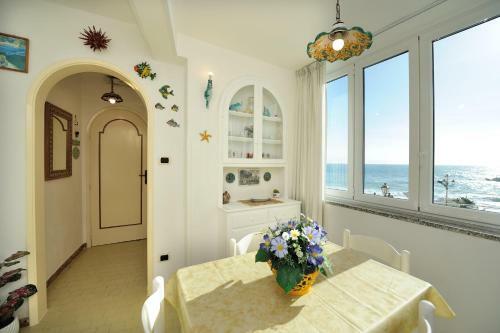 Adorable apartment overlooking the sea. Very spacious. 1 minute walk to beach. 15 minutes walk into Amalfi. Bus stop just up a flight of stairs. They even gave us beach chairs. The apartment is very well maintained, clean and has all the facilities needed for a good few days. Overlooking the beach (!!) at an extremely reasonable price, it has a nice restaurant downstairs which saved us on our arrival as we were a bit late to be able to do any shopping. We were most impressed by how attentive our host Maria was, she provided all the information we needed, helped us with our luggage, helped with the parking, with things to do, she was always available via WhatsApp... she even brought us some amazing pastries for breakfast one day!! Madam Teresa and Maria were excellent hosts who will try their best to make your stay as enjoyable as possible. 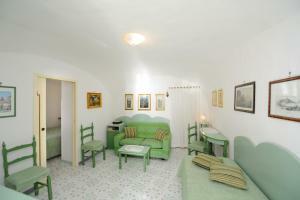 The apartment was very clean, comfortable and is fully equipped with all necessary facilities. 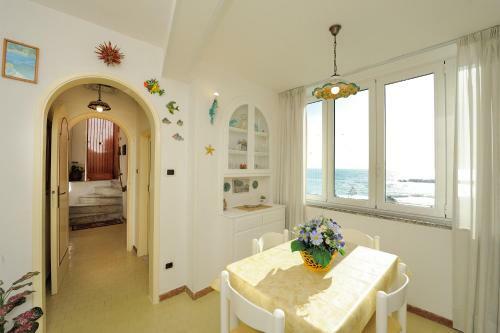 Great location, about 10 to 15 minutes walk along the coast from Amalfi town. 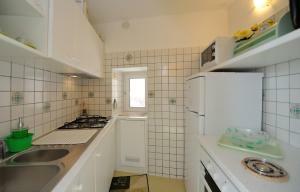 If you would like to take the bus to nearby towns, the bus stop is right above the apartment. You can also find reasonably priced restaurants, small grocery shops and also the tabachi to buy bus tickets below the apartment. 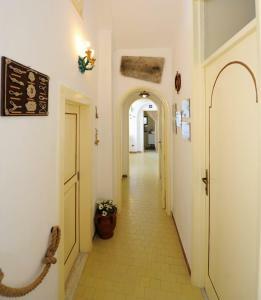 Would definitely recommend to everyone who would like to have a great stay at the Amalfi coast/Atrani. Everything was wonderful. Our hosts couldn't have been more helpful, With the apartment and local knowledge. The apartment was spotless. Everything we needed and more. Excellent location on the beach. Very clean and comfortable apartment. The owner of Enza is very kind, living in the neighboring apartment. On Sundays when shops haven’t work, she gave us a bottle of wine. That was very kind of her. Maria e la signora Teresa sono state veramente gentilissime e premurose, rispettando sempre la nostra privacy, l'alloggio è un bijoux, posizione meravigliosa affacciato sul mare che entrava dentro insieme al sole......Ci siamo sentiti subito a casa.......Atrani poi è delizioso fuori dal caos pur così vicino ad Amalfi!!!! Un piccolo mondo tutto concentrato nella bellissima piazzetta dove tutti si conoscono e anche noi forestieri ne diventiamo subito parte, naturalmente. Die Lage der Wohnung war traumhaft. Man hatte Blick aufs Meer. Die Küche war sehr gut ausgestattet, Bad mit Waschmaschine, sehr geräumig und ruhig. Vielen Dank an Maria, die gute Perle. Maria hat uns sehr herzlich empfangen und uns super Tipps gegeben. Sie hat uns geholfen einen Parkplatz zu finden. Die Wohnung hat alles was man braucht und ist blitzsauber. Die Lage unter der Brücke ist super- die Sicht einzigartig direkt aufs Meer. The property was absolutely spotless and fully equipped. Many many thanks to the property manager Maria. Always available and kind. She even helped us find a parking space for our car...very hard thing to find in Atrani. Property location is perfect, just a few steps away from the beach and the main square. Great view from the prooerty. L'appartamento era immacolato e dotato di ogni confort. Grazie grazie a Maria, manager della proprietá, sempre disponibile e gentile. Maria ci ha anche aiutati a trovare il parcheggio per l'auto...cosa molto difficile ad Atrani. L'appartamento é a pochi passi dalla spiaggia e dalla piazza. Il panorama dell'appartamento é stupendo. Bonne situation géographique. Proche d'Amalfi et donc des autobus/bateaux. Lock in a great price for That's Atrani – rated 9.6 by recent guests! 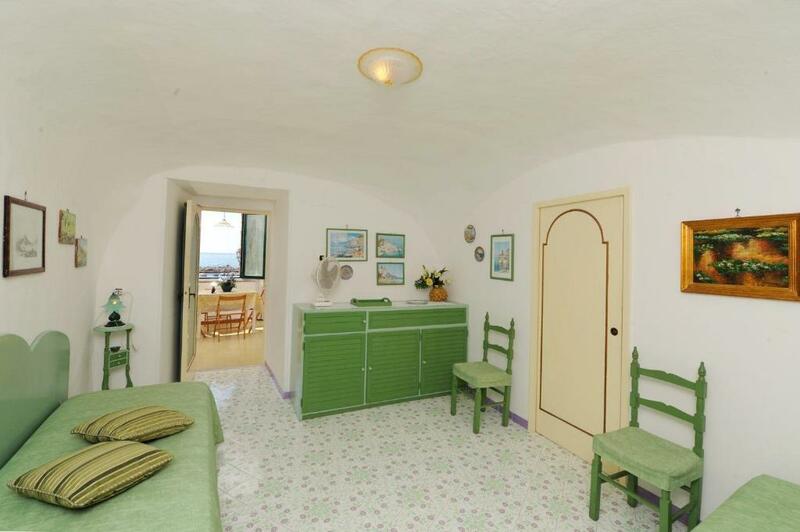 Offering free WiFi and sea views, That's Atrani is a property located in Atrani. 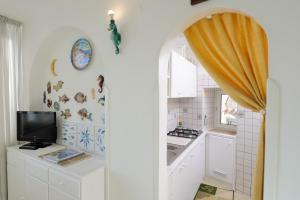 Guests staying at this vacation home can use a fully equipped kitchen. The vacation home has 2 bedrooms and 1 bathroom with a hair dryer. A flat-screen TV is provided. If you would like to discover the area, diving and fishing are possible nearby. 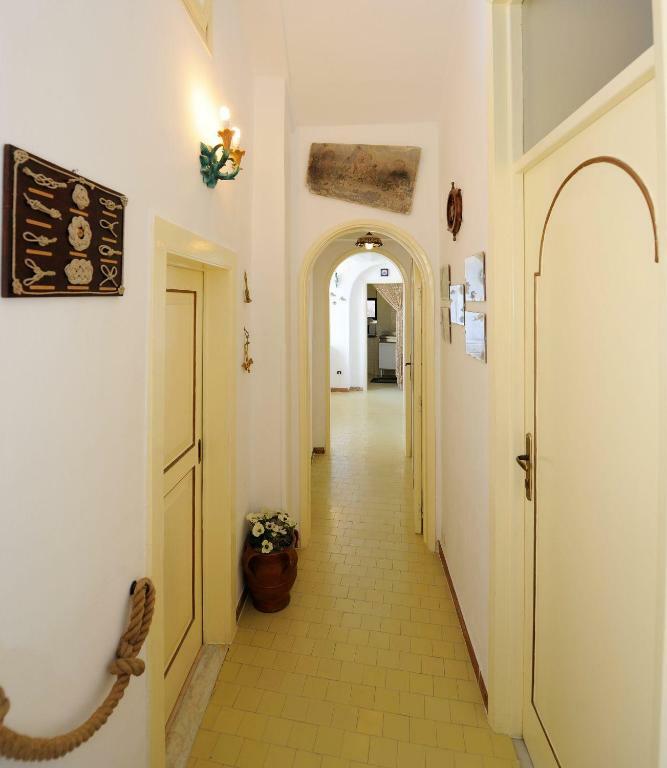 When would you like to stay at That's Atrani? This apartment has a toaster, microwave and electric kettle. 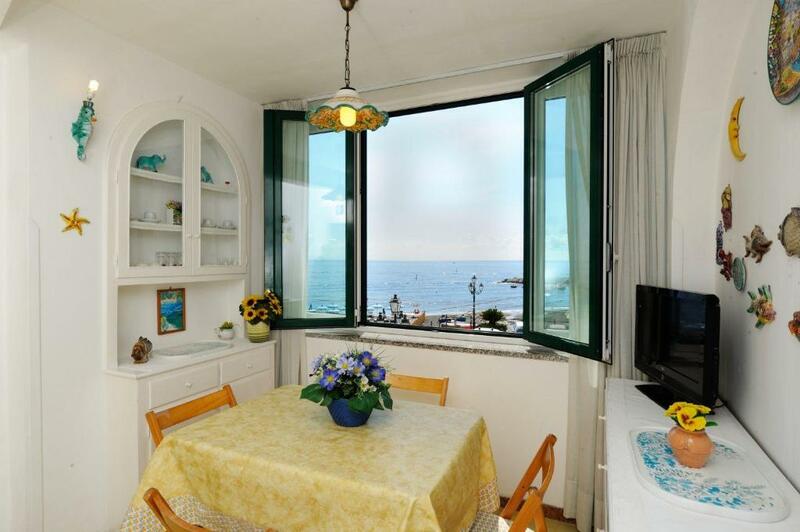 That's Atrani is a delightful apartment only 4 minutes walk from Amalfi and offers an astonishing view of Atrani's seafront. The apartment is very comfortable and quiet and close to the beach and all the amenities. The apartment is 50 m2 and consists of two bedrooms (sea view 'Margherita' bedroom and 'Ciccio' bedroom), a well-equipped kitchen, a sea view dining room and a small bathroom including washbasin, WC, bidet, bath and shower. The apartment is finished in the Mediterranean style. Sleep and in the middle of the night to hear the sound of the waves is absolutely wonderful. I grew up in Atrani where I met my husband. Our property has been passed down through generations. At the rear of the palazzo both the characteristic Piazza Umberto I and the 940 ad church of Salvatore de Birecto charm the tourist. That's Atrani is located at the heart of a bustling and lively village community in a renovated 18th century building protected by UNESCO. The local area is safe. House Rules That's Atrani takes special requests – add in the next step! Please inform That's Atrani of your expected arrival time in advance. You can use the Special Requests box when booking, or contact the property directly using the contact details in your confirmation. If I need to pick on something, perhaps the stairs are a bit of an inconvenience when going with small children (strollers beware), though this will be the same everywhere in Amalfi area as it's very hilly. If you're traveling in winter (we were there in February), bear in mind that the bathroom gets a little bit cold, and it being a shower is not great for bathing small children (we traveled with a 9 month old and a 4 year old). But really small points that didn't really affect our stay at all.